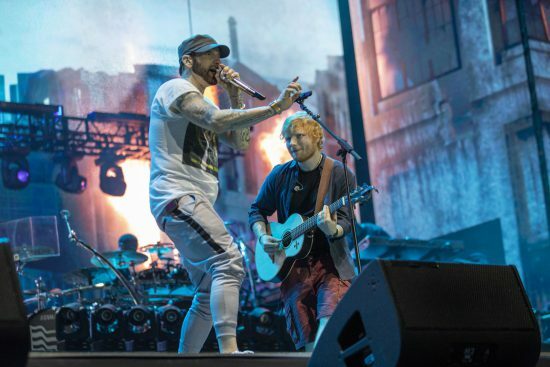 For the first time since 2005, when the last official Eminem’s concert video was released, we now have a chance to enjoy a part of last Revival tour concert. Marshall has published on his YouTube channel a professional video of his performance with Ed Sheeran on the concert in London on July 15th. It was the last show of the big European Revival Tour. Watch Em and Ed performing River live for the first time.